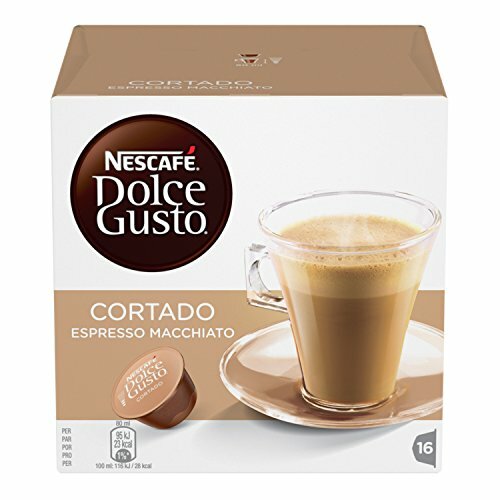 60 Dolce Gusto compatible coffee capsules. Make a choice from the following blends: CAPPUCCINO – 10 PODS = 5 DRINKS The most efficient coffee beans enriched with a frothed milky foam to assure a delicious drink. Creamy and gourmand, is the easiest flavor to start the day in the sweetest way. CAFE AU LAIT/CAFFE LATTE – 10 PODS = 10 DRINKS The combination of the energy of the coffee and the sweetness of the milk makes this perfect. One true goodness! CIOCCOLATO – 10 PODS = 10 DRINKS Tasty drink flavored chocolate for a break heady and greedy. Each and every capsule corresponds to a cup of hot chocolate. ESPRESSO CLASSIC – 10 PODS = 10 DRINKS Blend that seems “soft” even in the nose. The taste is velvety also on the palate. A coffee characterized by fruity and bitter notes, typical to arabicas from central The united states and Brazil,added to Robusta. The result is a coffee with a round and fine body….simply “SOFT”. CORTADO – 10 PODS = 10 DRINKS The goodness of espresso “cut” with a dash of hot milk. All this in one capsule! ESPRESSO INTENSO- 10 PODS = 10 DRINKS A rich and balanced coffee at same time. Perfect mix between strength and finesse. This blend is composed by Robusta, with its roasted notes, and Arabica from Central The united states, perfectly roasted. 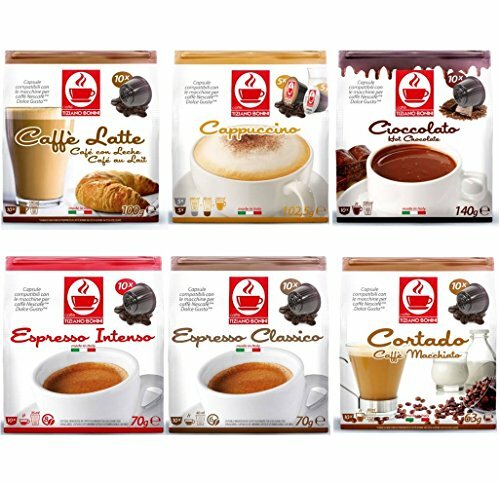 The result is an “INTENSE” coffee for Italian espresso’s lovers. 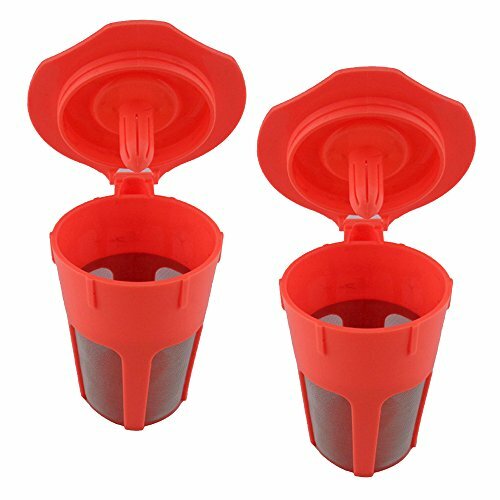 ESPRESSO FORTE – 10 PODS = 10 DRINKS. Consistent and full of life blend, aroma strong and penetrating for true connoisseurs. ESPRESSO SETA – 10 PODS = 10 DRINKS. Finest 100% arabica blend;soft and velvety. High-quality coffee from Central and South The united states are mixed to give a bouquet with almond notes. The cream has a light brown color. It’s evident on palate some aromas of flowers and a delicate-acidulous note. There may be a persistent aftertaste rich of cocoa flavor. A fluent espresso like the “Silk”..you’re going to never fails to taste!